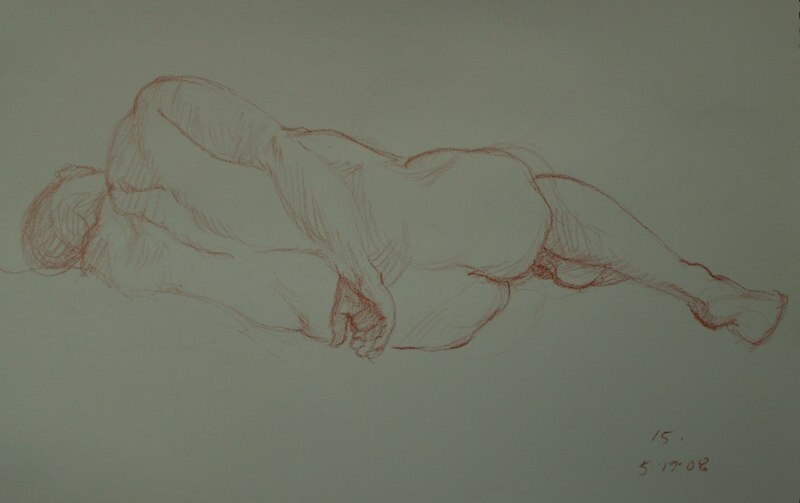 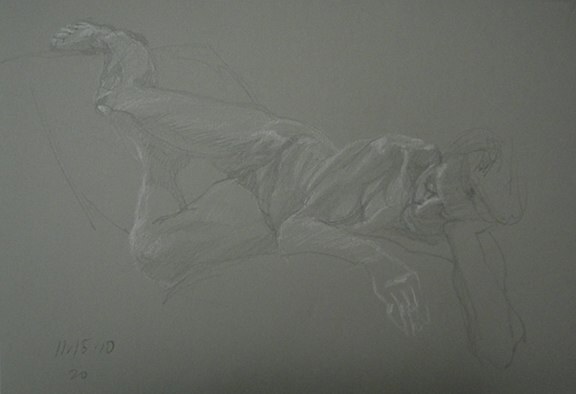 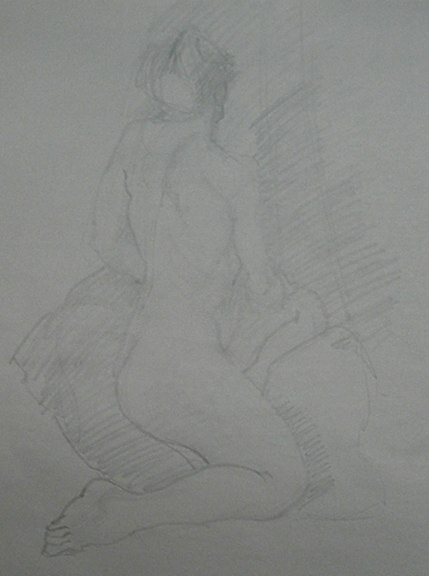 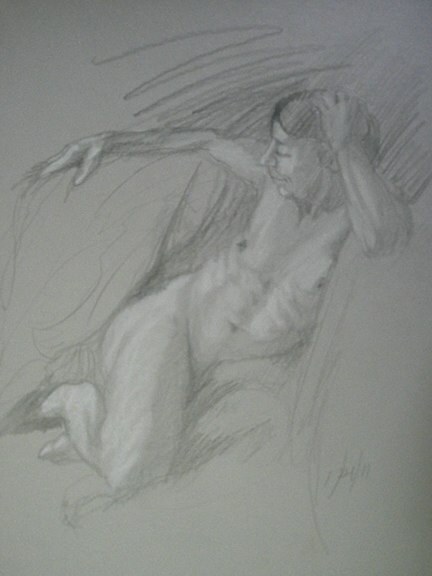 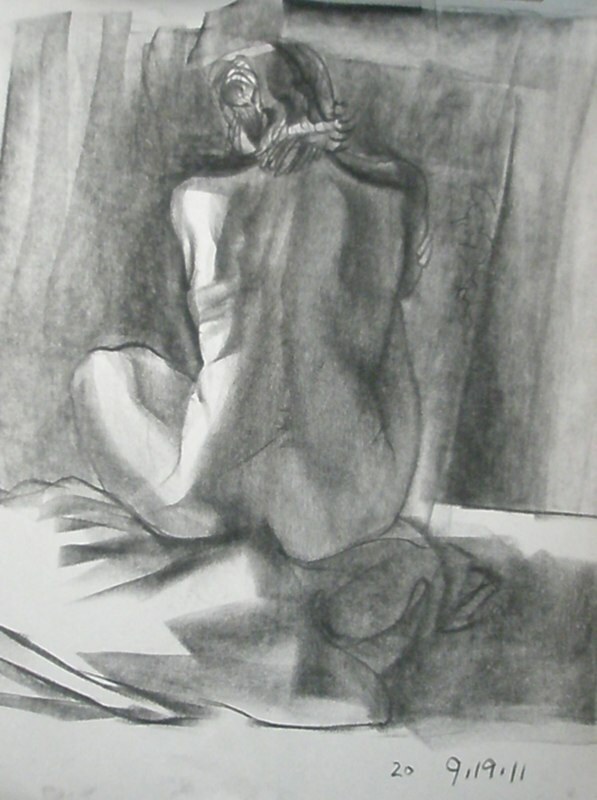 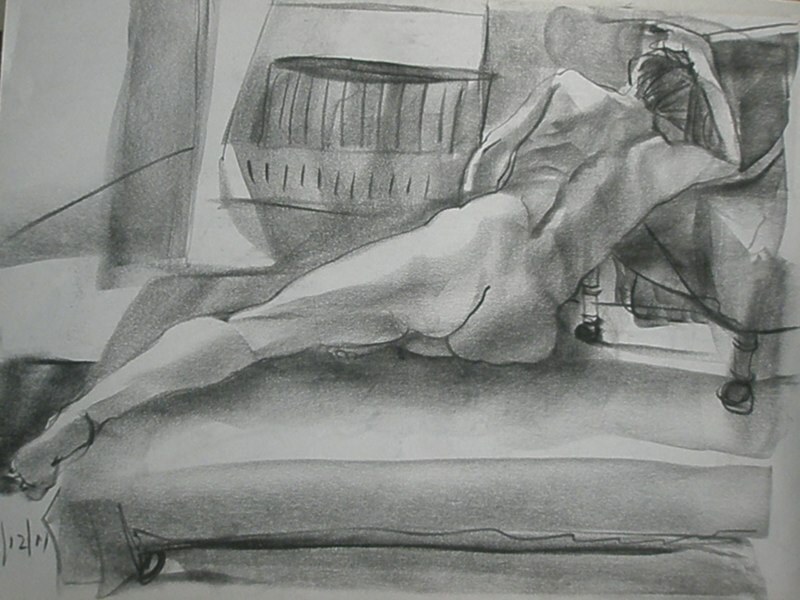 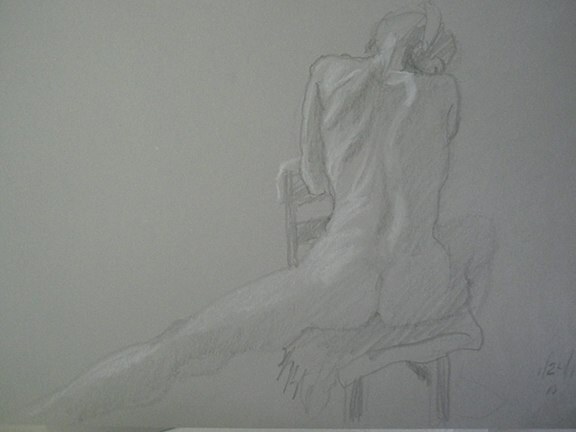 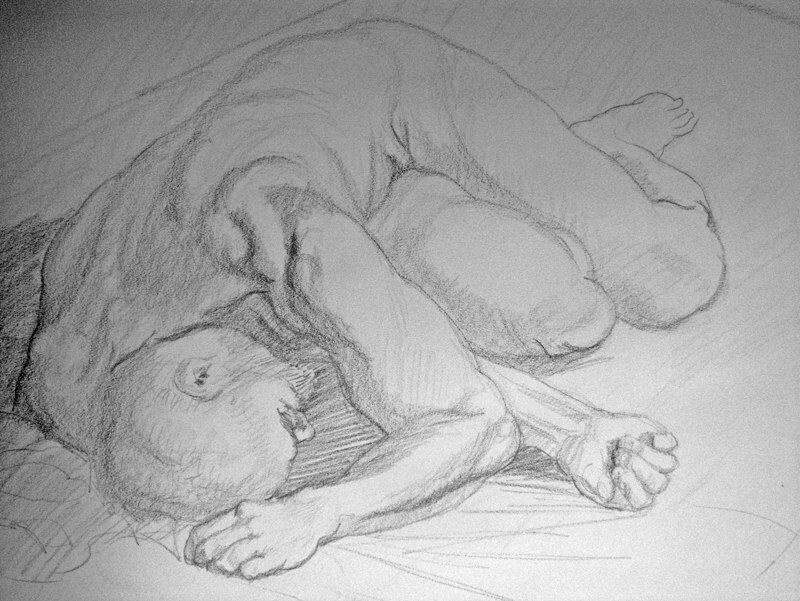 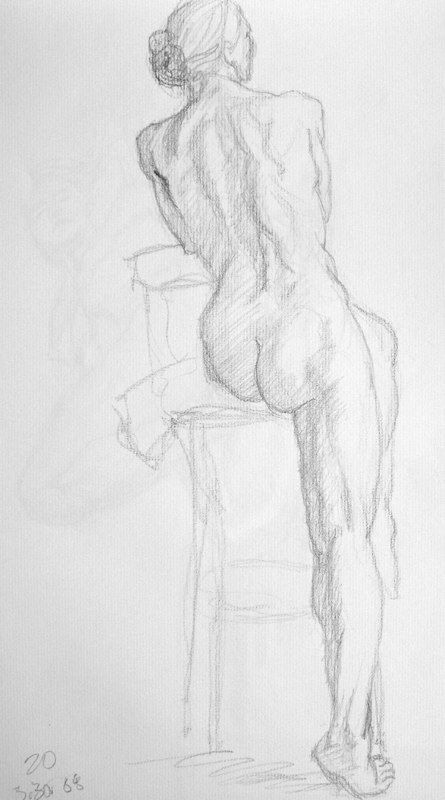 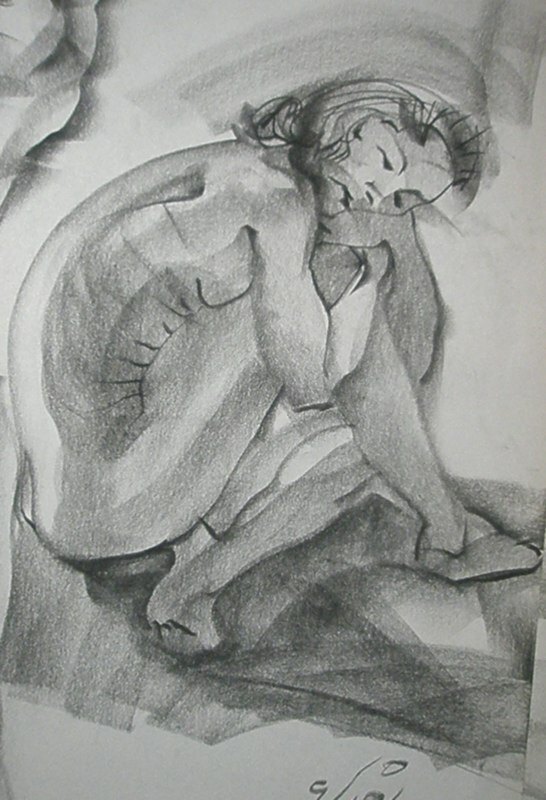 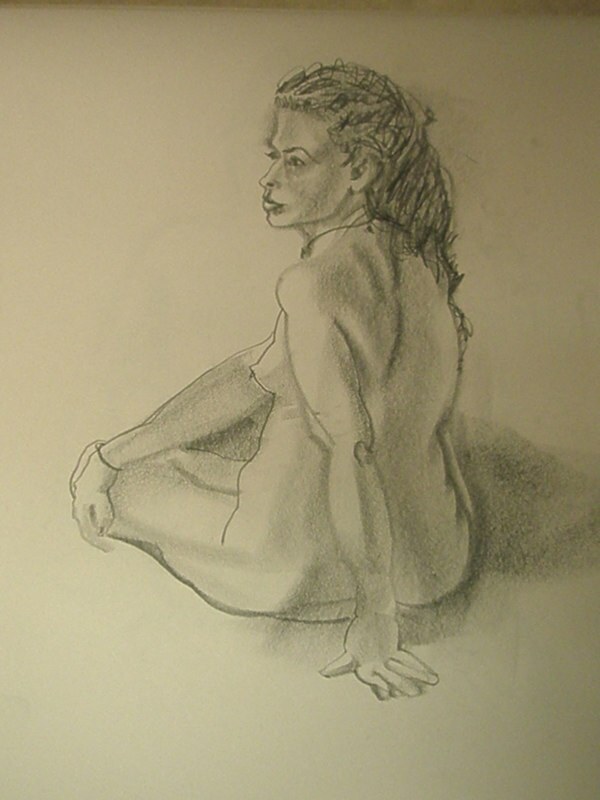 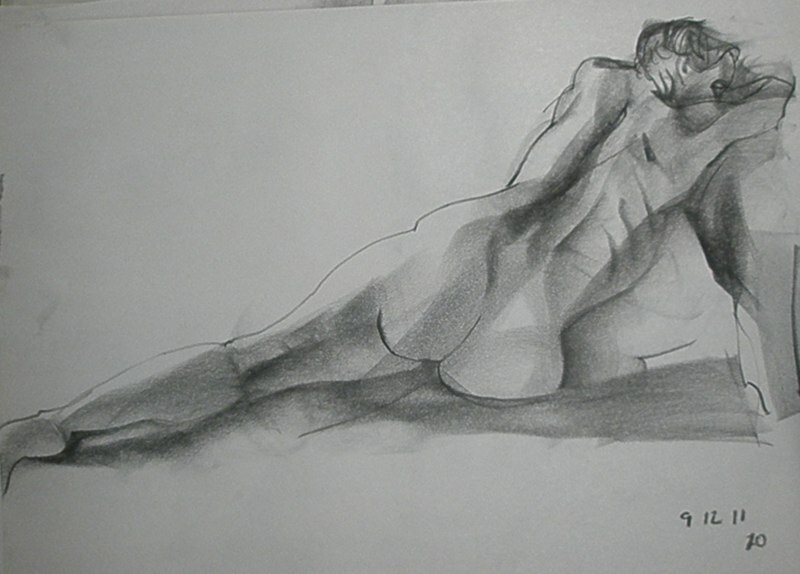 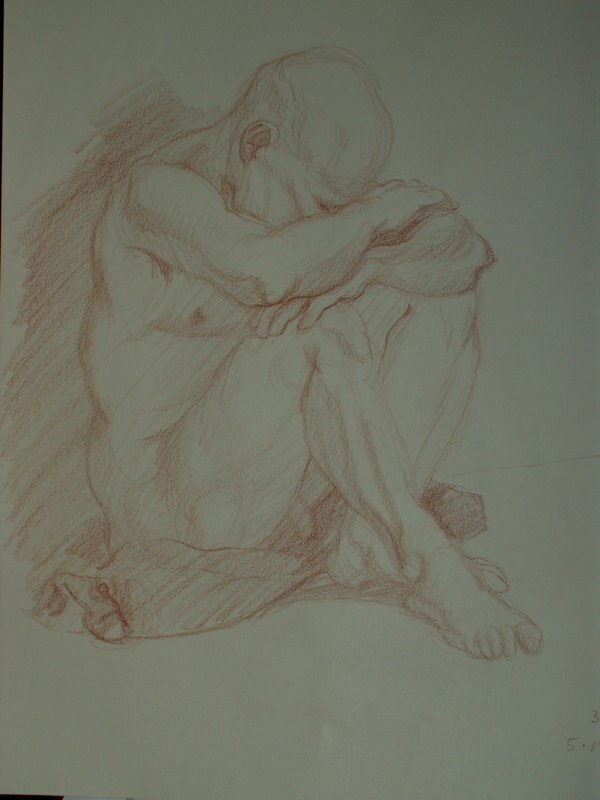 I studied Figure Drawing with Lloyd McNeill and Ilya Shevel at Rutgers University. 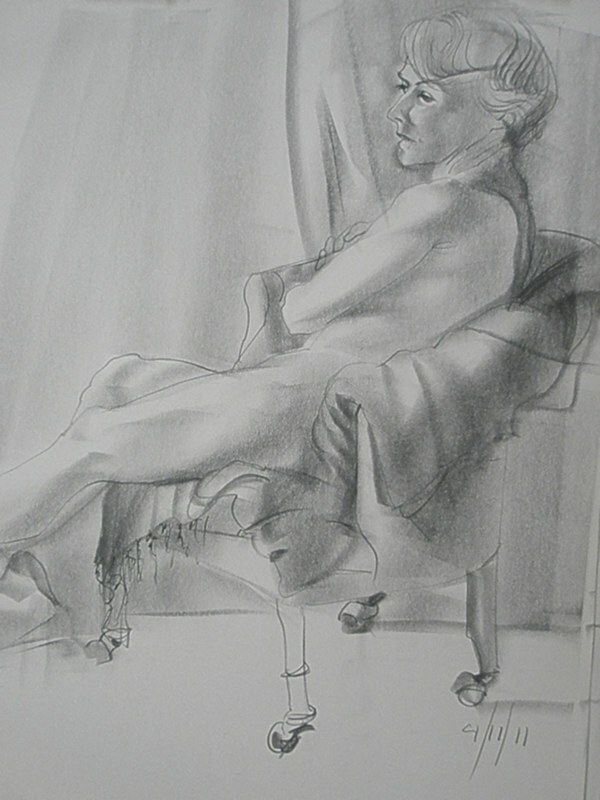 They each had a different approach, Lloyd emphasizing the power of the mark, abstraction, and a more "eastern" approach. 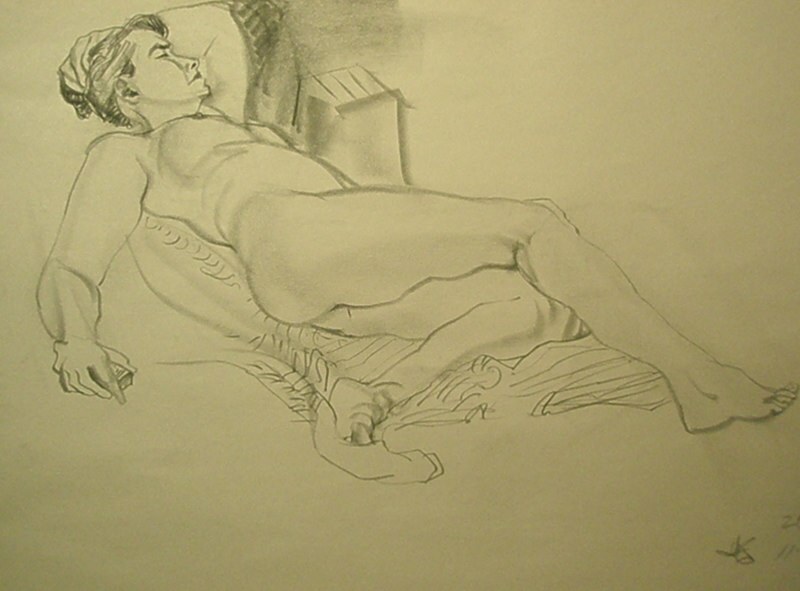 Russian trained, Illya had a “classical” bent. 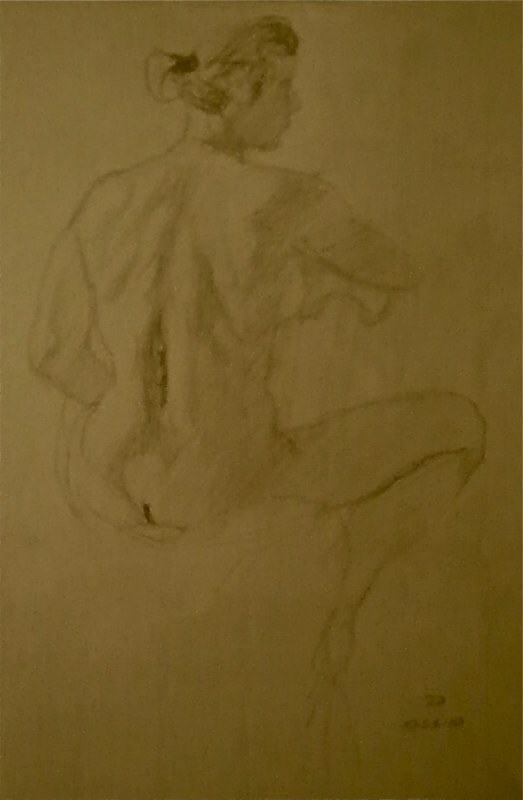 I’ve kept up a weekly practice ever since. 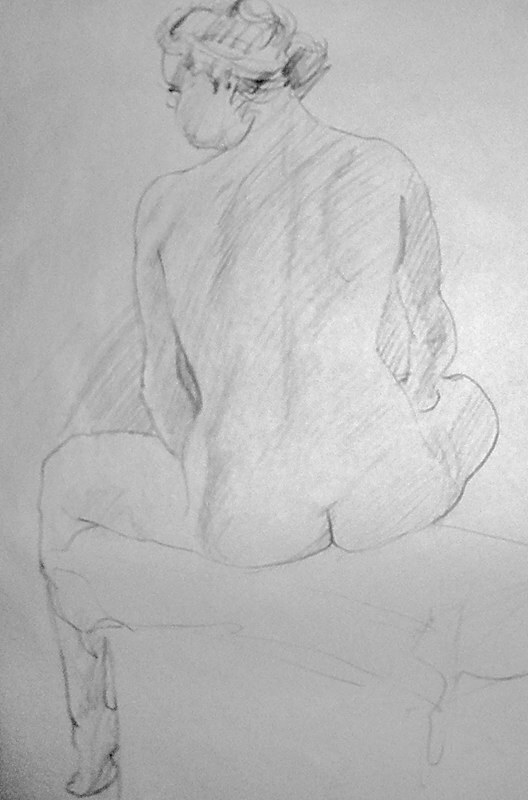 In fact, one of the first things I set up at Totts Gap Arts Institute was our open Figure Drawing session to keep my skills honed. 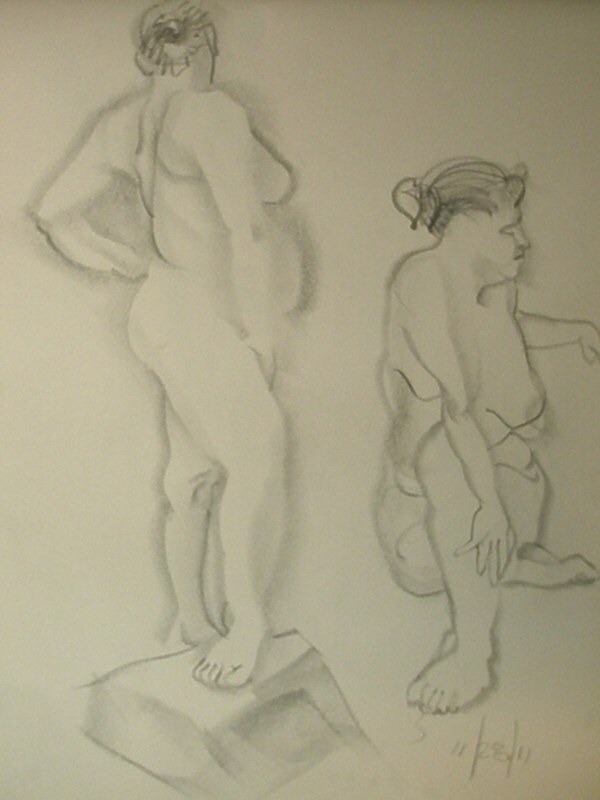 It still meets on Wednesday and Thursday evenings from 6:30-9pm with a small but lively group of professionals and amateurs “doing the work”. 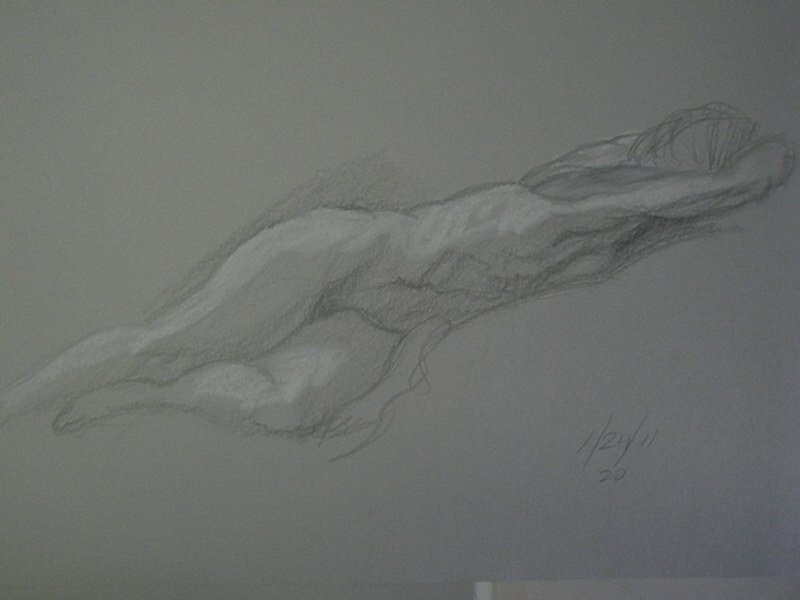 I’ve begun working in Conte pastel on colored Canson paper, doing extended drawings in addition to the typical warm ups.